What child doesn’t love to play with worms and dirt?! Shelly Wright, a CCPRN home child care provider member is not only encouraging this kind of play, she’s using it to promote learning about life cycles and healthy environmental and nutritional practices. And she’s doing it just in time for Earth Day coming up on April 22nd. Being an avid gardener, Shelly purchased an extra compost bucket for this special project. 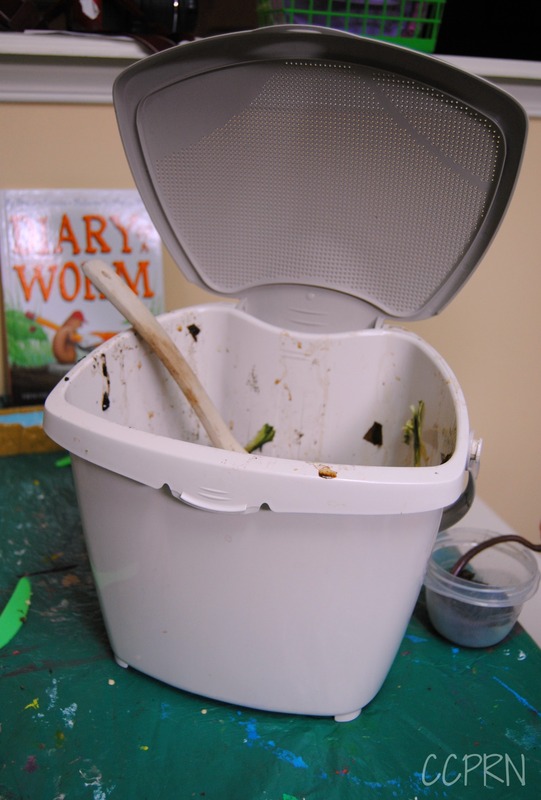 The small bins from the City of Ottawa’s green bin waste program (available at Canadian Tire stores) are ideal for housing worms because they keep the light out but still allow for air to enter through the tiny holes on the lid. Using this kind of container, allows Shelly to store her composter indoors and use it year round. To start vermicomposting, Shelly put about 2 cups of earth from her garden into the bucket with some shredded newspaper and about half a dozen red wriggler worms*. She recommends placing just a small amount of food scraps into the bin every other day or so and adding egg shells to neutralize the acidity. It’s important to avoid putting in meat, dairy or animal waste. 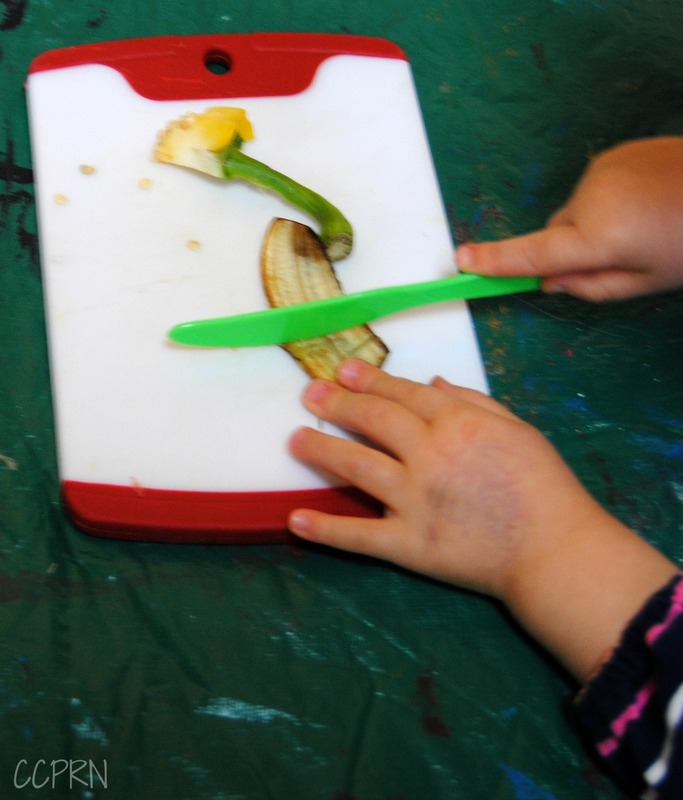 Shelly involves the children by asking them cut the food scraps into small pieces with plastic knives and placing them into the bucket. They give it a stir and check up on the worms’ progress regularly. Vermicomposting is just a small component of the many earth-friendly concepts that can be introduced to your children. 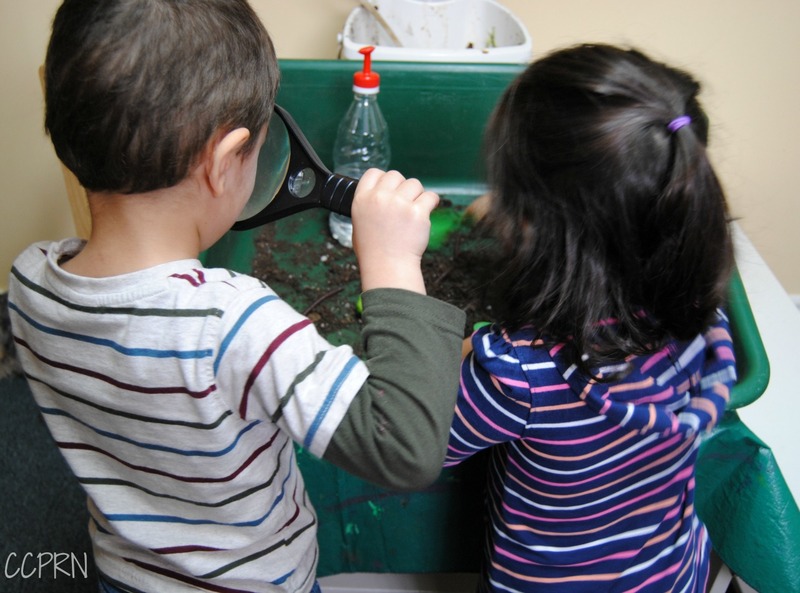 Children can observe and participate in using worms to create earth – which leads to using the fresh soil to plant seeds – then watching the seeds turn to vegetables we can eat – recycling the vegetable scraps to feed the worms – which in turn creates more earth! Shelly also put together a simple sensory bin on the composting theme to further enhance her daycare children’s learning through play. 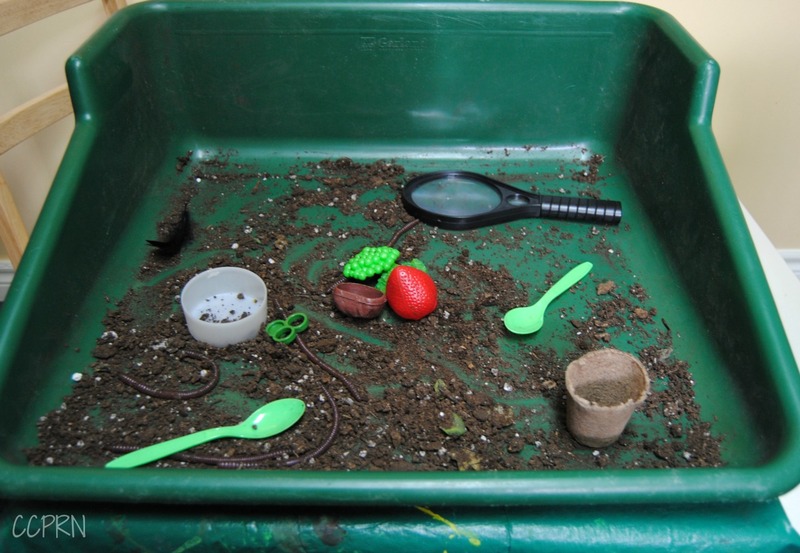 She included dry soil, fake worms from the fishing section of her hardware store, pretend food, a magnifying glass, a bottle of water, spoons and cups for the children to play with indoors. Thanks for sharing Shelly and for inspiring us to do the same!